New research carried out by drug delivery experts at The University of Nottingham has highlighted more advantages to using nanoparticles for the delivery of cancer drugs. 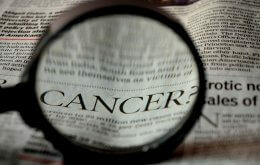 This will help in developing improved ways to treat cancer. The new finding, published in the academic journal Experimental Biology and Medicine, was discovered using 3-dimensional cell culture (cells grown in spheres or spheroids) instead of growing cells in the common way on flat plastic dishes (2-D cell culture). The work was carried out by Weina Meng who has carried out a number of other useful and important studies in Dr Garnett’s team using 3-D cell cultures. For some years there has been great interest in the possibility of using various types of nanoparticles for delivery of drugs, particularly for cancer treatment. When nanoparticles are injected into the bloodstream they tend to accumulate better in cancers than in normal tissues due to an increased ‘leakiness’ of tumour blood vessels. 3-D cell culture has been receiving a lot of attention recently as it is believed to be more relevant, showing results closer to that seen in real life tissues. This research showed that in 2-D cell culture the uptake of nanoparticles into tumour cells was lower than that seen in normal brain cells. The increased uptake by tumour cells was only seen in 3-D culture. Dr Garnett has spent his whole career researching drug delivery — making medicines more effective. Much of this work has been in cancer research. He said: “The main problems in cancer therapy relate not just to finding appropriate drugs which kill cancer cells but how to deliver sufficient drug to the tumour without killing other cells in the patient. It is the effect of cancer drugs on the other cells in the body that cause the well-known side effects of cancer therapy as only a small fraction of the drug reaches the tumour — the rest causes side effects. One way to help overcome these problems is to incorporate drugs into nanoparticles. Nanoparticles have been shown to increase the proportion of drug reaching the tumour rather than other parts of the body. However, the effect is relatively small and can be variable. To reduce this problem further Dr Garnett and his team are looking at how drugs can be applied directly to the tumour. This work is dedicated to the memory of their former colleague Dr Terry Parker, a leading exponent of 3-D culture models and a key member of the team who sadly passed away in October 2013 due to a brain tumour. The full research paper ‘Penetration and intracellular uptake of poly(glycerol-adipate) nanoparticles into three-dimensional brain tumour cell culture models’ can be found at: Exp Biol Med (online first) doi: 10.1177/1535370215610441.